We are one of the eminent Wireless Weather Station Manufacturers and Suppliers. 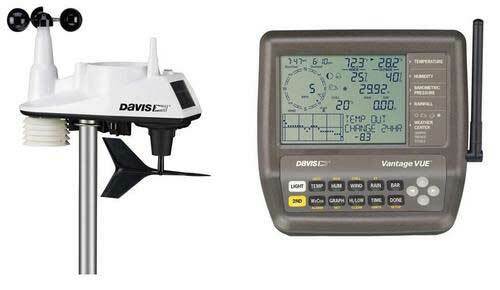 We supply Davis Vantage Vue weather station that combines Davis' legendary accuracy. Its compact design makes it easy to set up and use. Its matchless outdoor sensor array & LCD console are one of kind in the industry. This Wireless Weather Station comes with different output option so that you can mix-and-match the most components along with it.